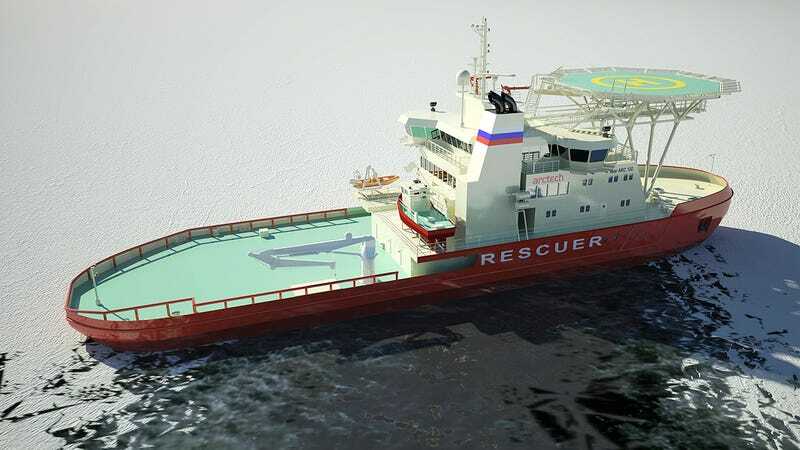 Like an arctic version of the Tokyo Drift, a new icebreaking ship called the NB 508 will actually drift sideways through frozen lakes and rivers. It's not to capture some incredibly boring sub-zero gymkhana footage, though, but to clear a larger path through the ice for other ships to follow without getting stuck. Icebreakers typically plow straight ahead through frozen channels, but that means only ships as large as the icebreaker itself can follow in its path. So using a set of three rotating propulsors that can spin 360 degrees, the NB 508's asymmetrical hull can plow sideways through an ice field creating a larger channel for other ships to safely navigate. And for reference, this timelapse shows how a traditional icebreaker plows its way through various types of ice.